Are you looking to Hire a Freelance Web Developer or freelance PHP Mysql Web Developer from India for your Freelance Web Development needs? If yes then please read on. Sukhwinder is a freelance web developer from India with over 15 years of professional web development experience. Has been working as freelance web developer since 2003 for clients from US, Canada, UK and other Europian countries and has done many web sites and intranet applications using PHP and other web programming languages. Will make sure that your web project is completed within agreed time period. Also working for few US companies on hourly basis. Contact Sukhwinder for any kind of web designing / development and programming work. See web development and software development work he has done below. Please check testimonials from clients. Here is his linked.in profile. Work Details : Working as a web developer. Handle web development using php-mysql-apache, postgresql, PHP Pear packages etc and dealing with clients. Work Details : Worked as a web developer at this web development company. Main job here was to do web development using php-mysql-apache asp/asp.net, Java Servlets, JSP and to develop software in Java. Only Most recent work has active links with permission of clients. USendU.com allows you to upload your videos, images and mp3s and create and send a greeting card using those. There is also an option to add youtube video to greeting card. Flash, PHP and mysql were used to develop this. Small fee is required to send the greetings. BeanAndBody.com is a an online store. It is has full flash based front end. PHP is used to handle flash requests and online purchases etc. Marilyn Manson Artwork Online (http://marilynmansonartworkonline.com/) was an official online store for all Marilyn Manson Artwork. Payments are accepted through PayPal PHP and Mysql were used for development. Hallstar.com. A big database including different types of chemical and other products. PHP and mysql were used for this. Kneebouncers.com is a toddler gaming site with a store. Flash and other designing was done by my US friend. It includes a written from scratch e-commerce store as well as phpBB forum integration. Authorize.net is used for accepting payments. Fedex web service API is used for dynamic retrieval of available shipping options. Later a custom built banner management module was developed and also an email system developed to send different type of newsletters to different types of subscribers. PHP and Mysql were used to develop this fun web site. J-tron.com is an online shop. They offer a complete line of sockets and interconnects from Cambion, Components Corp., and Keltron Connectors. And also stock a large variety of resistors and capacitors from Xicon Passive Components and NTE Electronics. Technology used: PHP and Mysql. MBA Hotel Brokers was developed using php and msyql. Includes basic property listing. User must register or login to view details of a property. Properties are are added through admin CMS. ICE project. The project included creating Web based User Interface to be accessed through a STB (Set Top Box) as well as through a PC. Worked in a team of around 6 people from US having specialty in different fields like creating server clusters to C++ programmers to video streaming experts. Created a web based UI which responded to STB remote keypresses as well as PC keyboard kypresses and passed data around through XML RPC. Development continued for almost 1 Year. Hypnosisportal is dedicated in promoting ethical hypnosis practice through referrals. It is an entirely free service, both for practitioners, and clients looking for appropriate therapist. Hypnosisportal provides clients seeking therapy the most convenient way to find, assess, and book appointments with professionals in their area through real-time calendars. You can search a professional in your Area and then view his calendar to request an appointment at time you want. PHP and mysql were used to develop this site for a UK client. IFlirt is a simple fun site developed for a regular US client. Uses simple 3 field registration. After a user is registered. He can browse many profiles of people collected from all over the internet. It uses another website for profile database through REST xml api calls. Many PHP Pear packages like xml, pager, db, http and net were used to complete the site very quickly. Ashland Tree Care was developed with the help of US designer. PHP and mysql was used to add a custom photo gallery and news module to the site. Owner can manage photos and configure gallery in many ways and can manage news using backend. Canlaw.org. A database of lawyers. Registration is not free. Users pay to search the database for a limited period. Access depends upon how many days access user has purchased. Again PHP and Mysql were used to develop this web site. An online shopping application done using php and mysql. Payment options include paypal and others. Contact for demo for this web site. A movie database done using php and mysql. Requires paid registration. Huge database of movies containing thousands of records. Many types of users with different roles manage the database. This web site is not open for general public. After extracting data it was exported to MySql database and application was re-written in PHP. Manages everything from web development to uploading and maintenance. Loves exploring newer languages and technologies on Linux and Windows Platform. Indian web developer Indian programmer web site developer php ecommerce website development ASP database developer India web development. 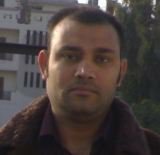 Sukhwinder singh is a freelance web developer from india. Please contact Sukhwinder for any kind of freelance web development work India.